About three months ago, Facebook changed its algorithm again and many people want to know what this means for their Facebook Business Page and how it will affect the reach of the content they post on Facebook. The idea behind Facebook’s algorithm update is to go about removing corporate or public content from their site. 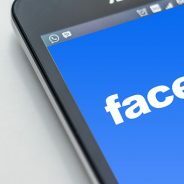 When they announced the update, Facebook said that it is shifting the focus of its news feed to promote “meaningful” posts, mostly those shared by family and friends rather than news organisations or brands. Many businesses are rightfully worried because this change in algorithm could spell trouble for the ecosystem of brands that have come to rely on Facebook for revenue. The truth is that this change isn’t as new as Facebook would want people to believe. Facebook has been removing organic reach from business pages for the past two years, so the reach that you are getting isn’t going to taper off significantly. The new change is mostly directed at news companies such as the New York Times, Buzzfeed and Vox to pay to market their news stories on this platform. Facebook essentially wants to make sure that the news posts that end up in your timeline are shared from your friends and family (in other words, real people) as opposed to news organisations marketing their news into Facebook news feeds. If you are worried about how social media algorithms may impact your campaigns and social media marketing strategy, partner with the digital experts at WSI OMS. Contact us for more information today.